Exploring the future of healthcare. A selection of projects we've collaborated on. Are you still attending appointments? No Sorry to hear that. On a scale of 1-5 how would you rate your experience? 3 Why did you give that rating? Build customised conversations and trigger them based on time or patient response. Then monitor your interactions, with a simple to learn dashboard and control panel. Nobody loves a health survey. Often long and complex, with limited outputs for the participants. So we built the Health Perception, 3 minutes, 7 areas of health, instant feedback. What is health and wellbeing worth? 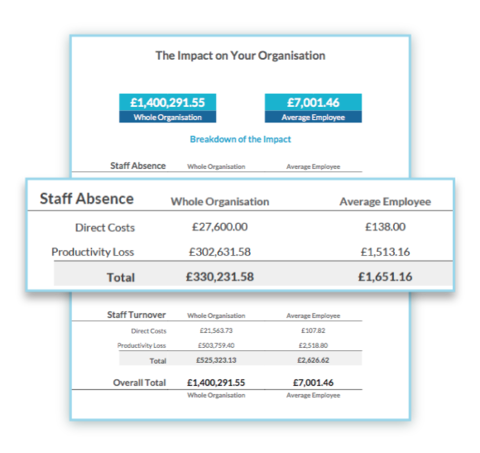 Our tools help you calculate the business case, based on 30 customisable factors, so it's not just HR Directors fighting to invest in wellbeing. We often hear people say that they struggle to "fit health in". HealthyWeek supports users to find new healthier behaviours, based on their goals and schedule them into a simple reminder system. We've worked across public, private and third sector to develop, align and operationalise strategies that drive digital insight, adoption and efficiency. Need a project delivered fast? We plug into your existing processes to drive technology deployments across mobile and web from human-centred design to continous integration. Looking to create or leverage IP? We can help you build partnerships for collaborative bids, manage the technology for a research study or create a new digital service. Ask us a question, tell us a story, challenge us! Do you have a specific question or project you'd like to discuss?